If you have a space you would like me to create nature art (both aesthetic and functional), I would love to receive an invitation. 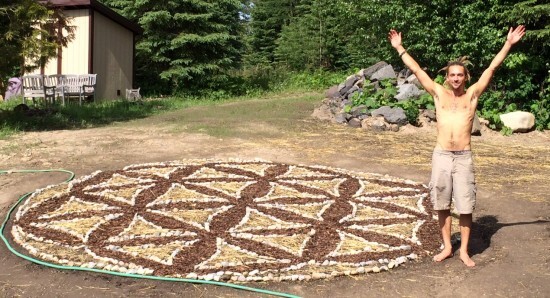 I can work with materials available on site as well as larger vision projects that might require obtaining materials off site (such as the edible flower community garden shown below). I am open for spontaneous creations in a specific place or specific visions (landscaping design, bordering, more permanent art) and every mixture of collaboration in between. Contact me to open a dialogue! 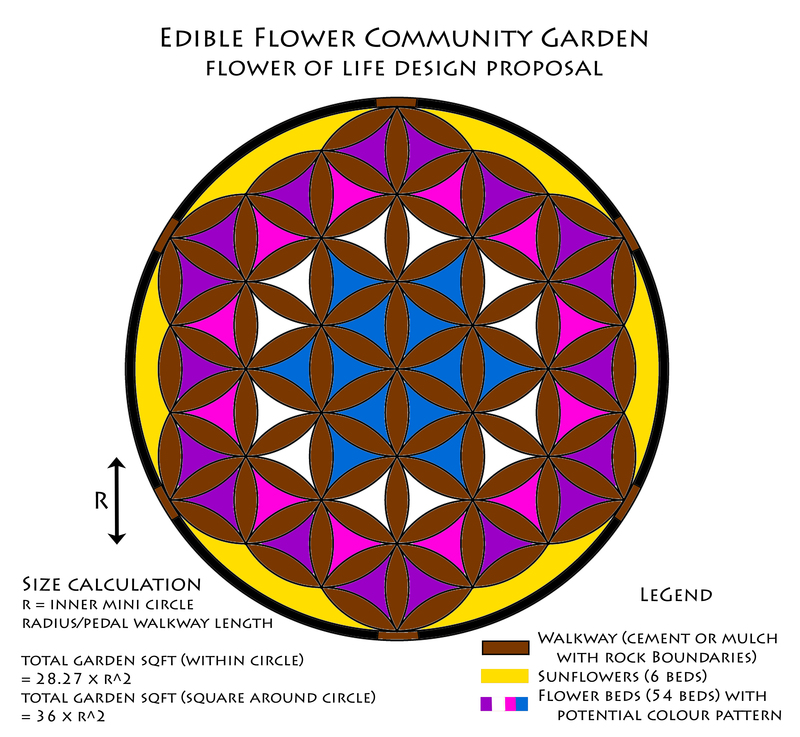 This is a flower garden in the shape of the seed of life geometric pattern. 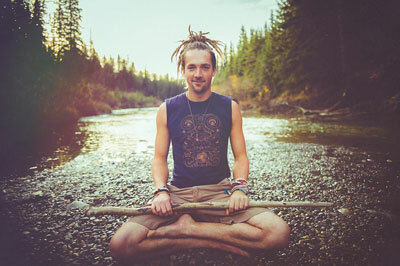 I built is during June, 2015 at my parents’ new home in Fernie, B.C. using rocks on site. Soil, manure compost, mulch, and straw were purchased to form the rest of the garden. 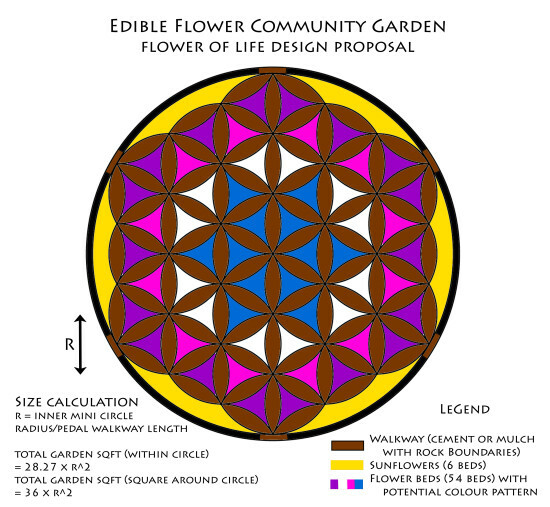 There are six varieties of flowers, with the tallest (Sunflowers) within the center 6 triangles and the shortest (Snow Carpet) within the 6 perimeter curves. The pattern was also influenced by the colours of the flowers, maintaining the symmetry of the design. As a trial experiment, the garden creation went smoothly and flowers sprouted quickly. Due to a paper lining that did not break down (not all paper is created equal) the flowers’ growth was stunted and after a certain height, eaten by deers (need a fence!). This is a project I would love to get involved with. If you know of a space that would be into the idea, please let me know!